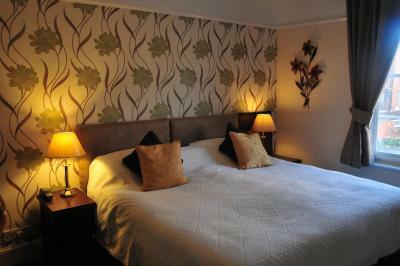 Lock in a great price for Edward Hotel - rated 8.1 by recent guests. The staff were welcoming and knowledgable. Our room was in an excellent location to the rear of the hotel. 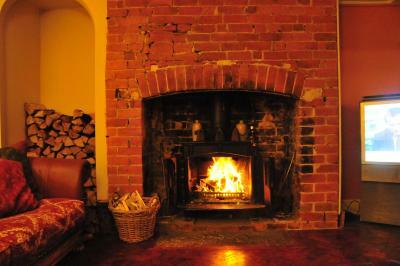 We had booked a family room which was lovely. 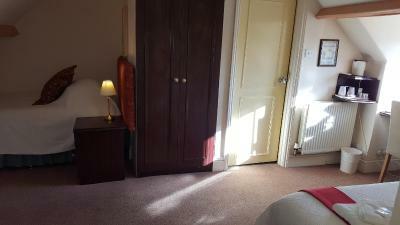 Two bedrooms with a door between, small hallway with hanging space and a shower room. Breakfast was relaxed, plenty of options and friendly service. It was a 15 minute walk to the town, we went down to the Quays in the evenings to eat and to have a wander. Had a wonderful stay. Staff very welcoming and friendly and very accommodating. 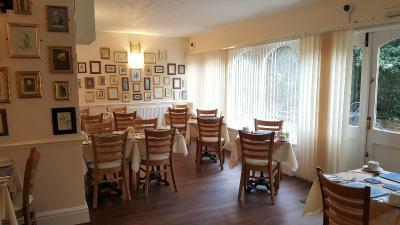 The breakfast was fantastic, best cooked breakfast I have had in a long time. 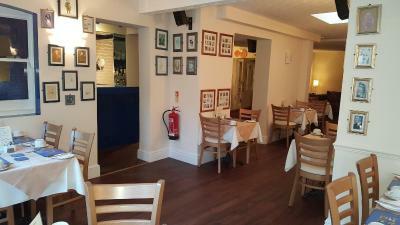 The staff were really friendly. The breakfast was excellent and the hotel very clean. Great location for Kingsholm and the city centre. The hotel is fine and everything was of acceptable quality. Great location, lovely aesthetic to the hotel, breakfast was really yummy! 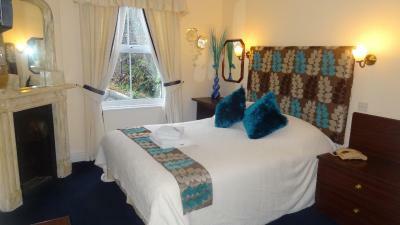 The hotel is walking distance from the town. The man who welcomed us was friendly and helpful. Good location and excellent breakfast. Comfortable bed. 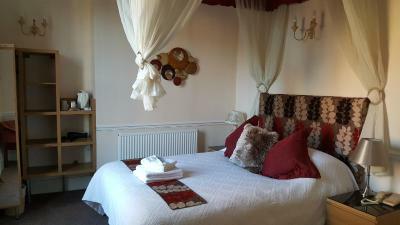 Lovley b&b very close to centre and the quays lovley breakfast. 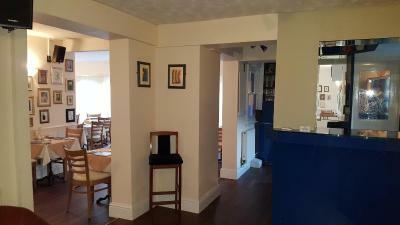 (English ) very clean& welcoming staff .wouid recommend it lovley little pub next door . 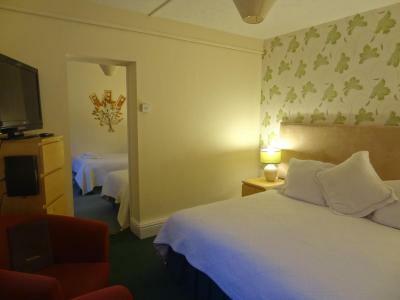 The Edward Hotel is a just 10-minute walk from Gloucester Cathedral and Gloucester Train Station. 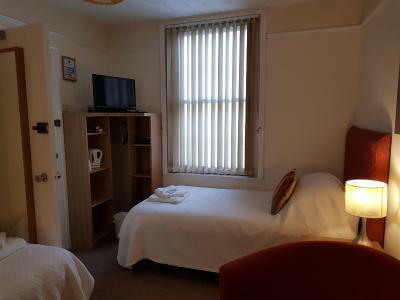 Set in 3 historically listed town houses, it offers en suite rooms with free Wi-Fi, traditional breakfasts and free parking. 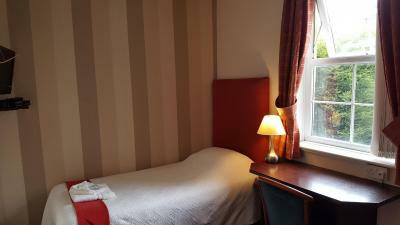 Rooms at the Edward Hotel feature a flat-screen TV with FreeSat, a writing desk, and a hairdryer. 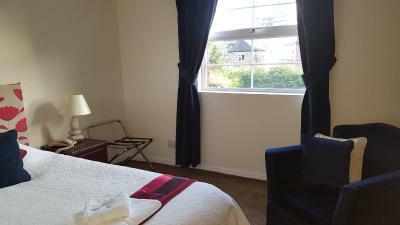 Each also comes with tea and coffee making facilities. In reception guests can use the computer, which has Skype and a webcam, free of charge. 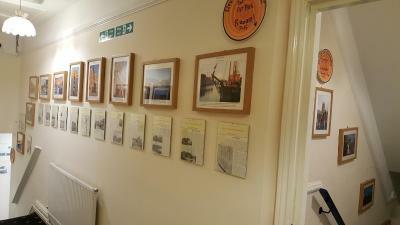 The corridors are lined with photographs of Gloucester’s historic buildings, and the friendly staff can arrange transport and sightseeing recommendations. 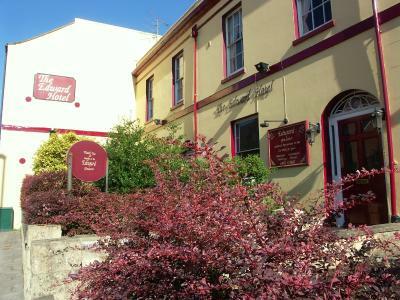 Gloucester Rugby Club is less than one mile from the Edward. 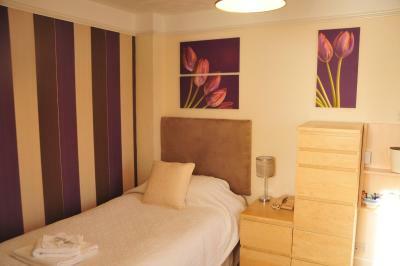 Gloucester city centre has a good range of shops, bars and restaurants and is a 10-minute walk away. 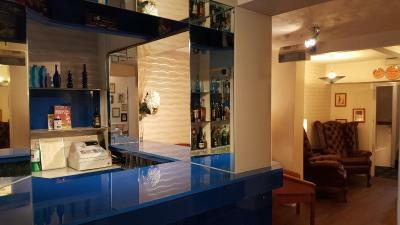 With a seating area, the hotel also has a self-serviced kitchenette so guests can prepare their own meals. The Edward Hotel has a safe lockup for cycles. Good off-road cycling and three golf clubs and are within a 5 miles radius of the hotel. Gloucester Airport and junctions 11 and 11a of the M5 motorway are within a 10-minute drive. 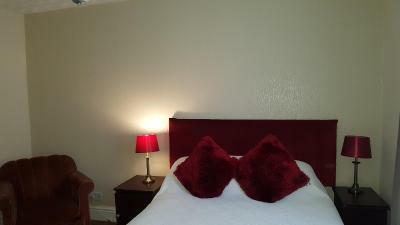 Edward Hotel has been welcoming Booking.com guests since 2 Aug 2005. 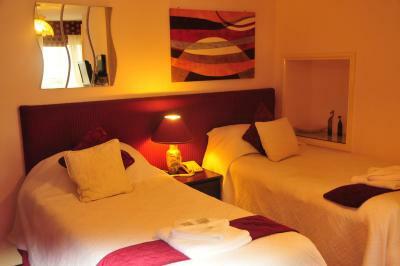 When would you like to stay at Edward Hotel? 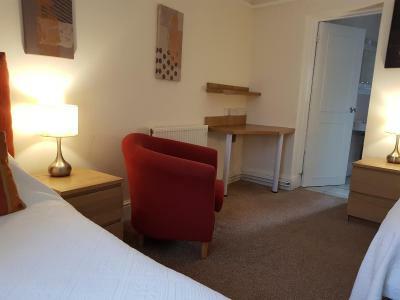 A flat-screen TV, tea and coffee making facilities and a hairdryer are included in this room. Most rooms have a shower, 1 has a bath. 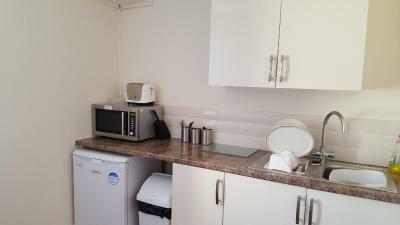 All guests have free access to a guest kitchenette. 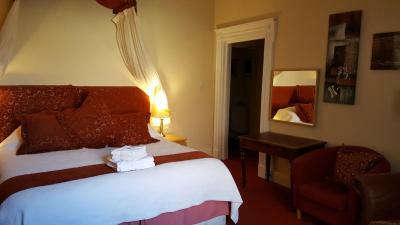 Free Wi-Fi, an en-suite shower and a HD TV are featured in this room. 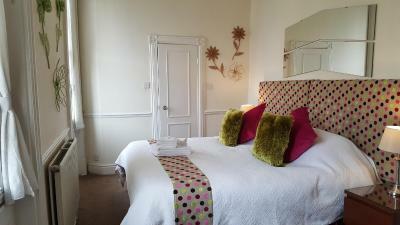 All guests have free access to a kitchenette and the room has space available for a cot. 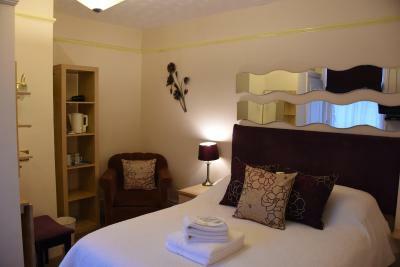 Free Wi-Fi, an en-suite shower and a HD TV are featured in this room. 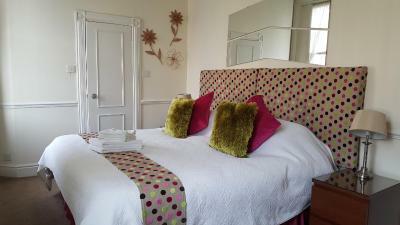 All guests have free access to a kitchenette and some rooms have space available for a cot. 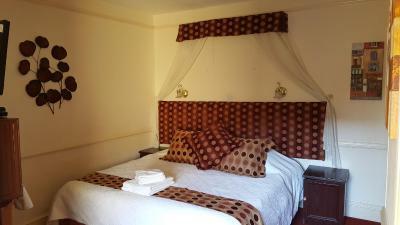 Free Wi-Fi, a king-size bed and a HD TV are featured in this room. 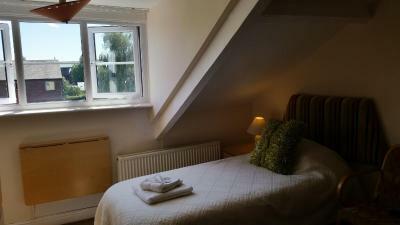 An en-suite bathroom is also provided. 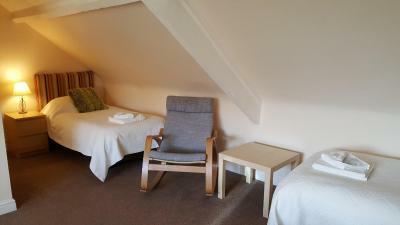 All guests have free access to a kitchenette and the room has space available for a cot. 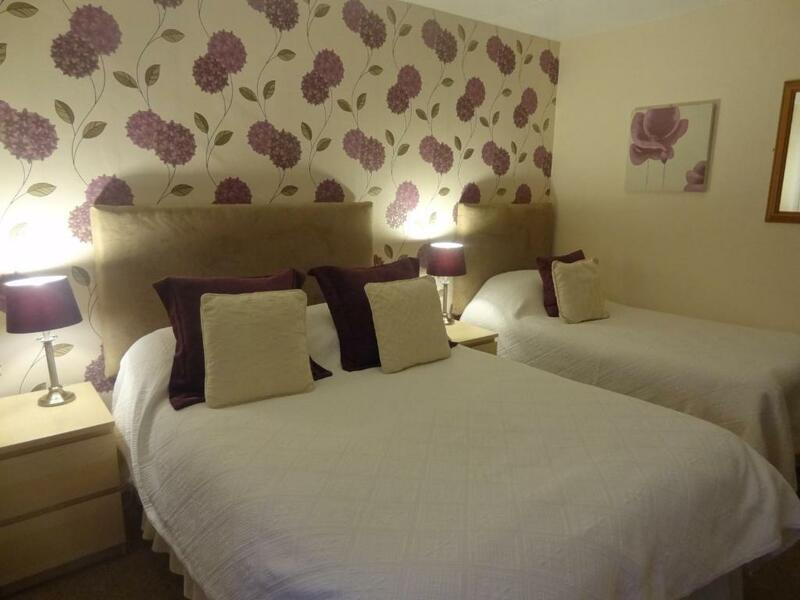 These rooms have a super king-size bed, and are either in more preferred positions or have larger bathrooms than standard doubles. 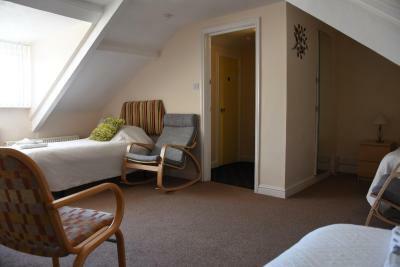 Free Wi-Fi, an en-suite shower and a HD TV are featured in this top-floor room. Tea/coffee making facilities and a hairdryer are also included. 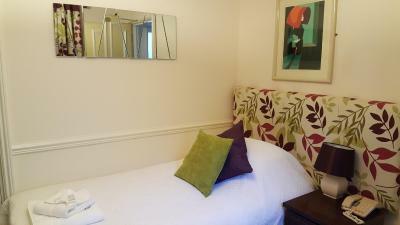 All guests have free access to a kitchenette and the room has space for a cot. 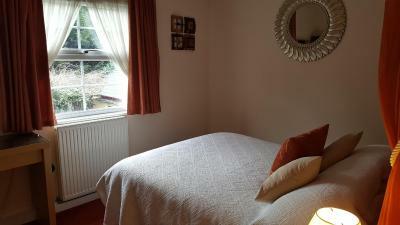 An interconnecting twin and double room with a private bathroom and a cloakroom, located on the ground floor. 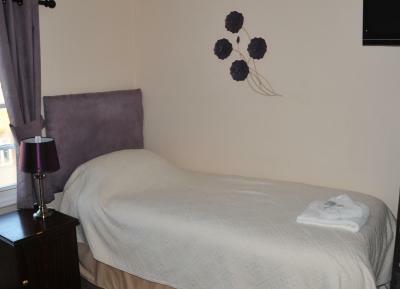 This room can accommodate one cot and guests have access to a kitchenette. 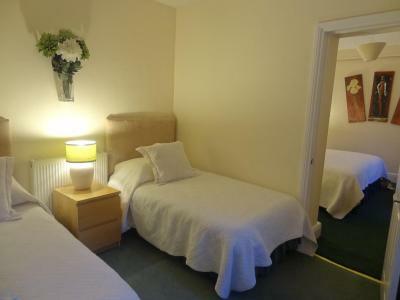 This smaller room comes with free Wi-Fi, an en-suite shower room and a HD TV. Tea/coffee making facilities and a hairdryer are also included. 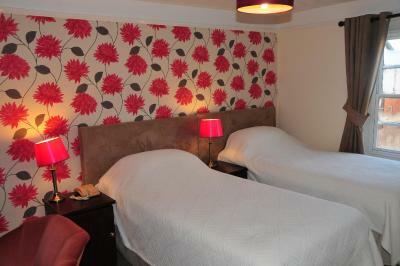 Both budget double rooms are situated on the ground floor. 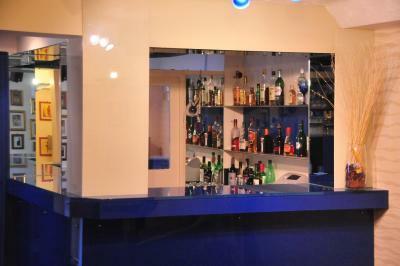 All guests have free access to a kitchenette. There is no space for a cot in this room. 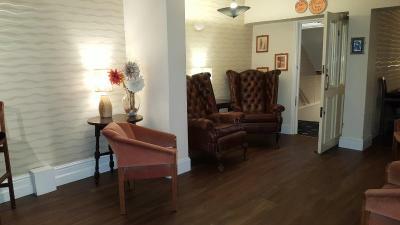 This room is situated on the ground floor at the front of the hotel. 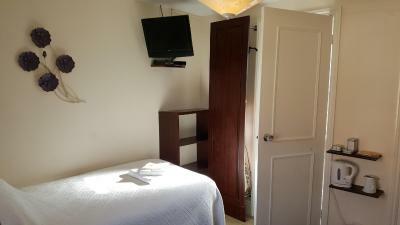 It includes a flat-screen TV with satellite channels, a desk and a wardrobe. 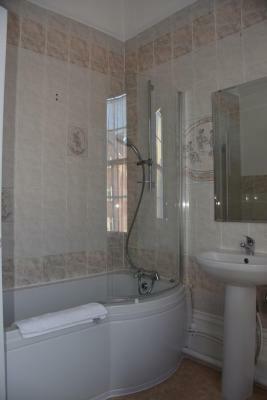 The bathroom has handles to aid use of the toilet and shower. There is no space for a cot in this room. House rules Edward Hotel takes special requests - add in the next step! Edward Hotel accepts these cards and reserves the right to temporarily hold an amount prior to arrival. Earlier arrivals (than advertised check-in times) are possible - please contact the hotel in advance of your arrival for more information. You can use the hotel's car park on the morning of your arrival and leave it for the day after check-out. Please note guide dogs are allowed in the hotel. The shower could have been a little better. The temperature knob fell off a couple of times but was easily put back on. The cubicle could have been a little bigger. Having said that, the shower worked fine and was powerful. Although there was plenty of hot water the shower in our room was not very controllable only able to get it hot and low pressure or cold and high pressure. Tea and coffee facilities provided but only one each of the cappuccino and hot chocolate sachets - could have asked reception for more but we decided to have one each! 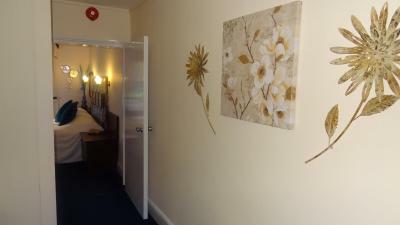 Excellent location - within easy reach of the Kingsholm stadium, city centre and docks. 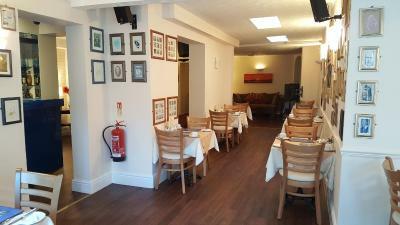 Excellent breakfast with good selection of juices, cereals and traditional English breakfast items. 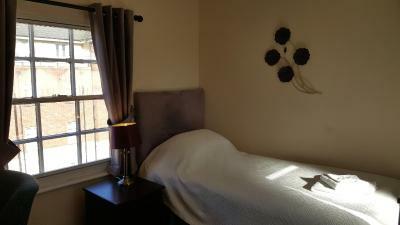 Room clean and spacious with very comfortable bed. 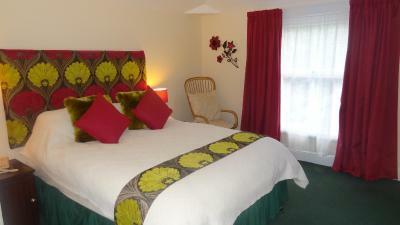 Good car parking facilities on site and staff very helpful and friendly, We have stayed before and will stay again. The hotel is a little tired, nothing serious but could benefit from some fairly simple remedial works. Sometimes the little details let the overall experience down. 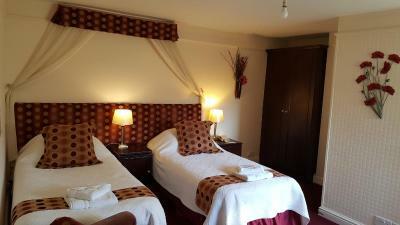 That said it is a 2* hotel which is about right. My room was a little cold, the radiators didn’t seem to work. Shower tray (room4) a bit dodgy as it is convex and gets slippery. Shower all together needs updating and is a bit small. Shower was small and restrictive - Otherwise fine. No facilities for an evening meal or bar although this was mentioned on website. The breakfast was good and served very quickly despite being 7am in the morning.